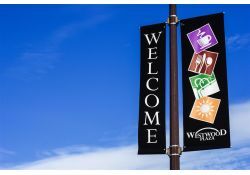 If you’re considering buying BannerFlex light pole banners for your next promotion or project, you have probably wished there were a way to see just what they will look like once they’re printed and installed. 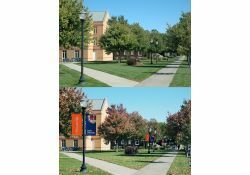 To better serve our customers, the BannerFlex art department will digitally edit a photo of the area where you wish to put up your light pole banners. If you didn’t know that it was an edited photo, you would think your banners were already in place! Screen Printed and Digitally Printed Banners… What Works Best? 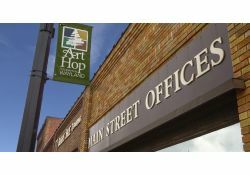 Our site's visitors often ask us, "What is the best option for me, screen-printed or digitally-printed banners?" While it's a great question, there is – unfortunately – no easy answer. Personally, we prefer screen-printed banners, as they offer more vibrant inks and can be applied to durable, marine acrylic fabrics. 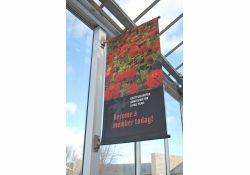 It's possible that we're biased, though, since screen-printed banners were our very first product line back in 1983 and, over the years, we've become really good at it! Our new guidebook is full of useful and up-to-date information and is designed to be a narrative for customers, engineers, utility companies, and public works officials. 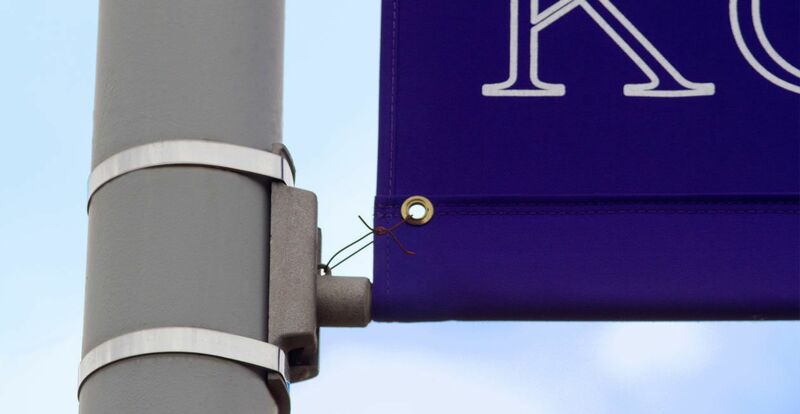 The content was compiled especially for people who are considering the specification of brackets for use with vertical street banners and street flags. The guide, full of important information, is a result of our strenuous testing and knowledge of our products and what they can withstand. The information we have made available is highly recommended for anyone who is considering the purchase of competing products. 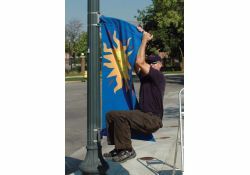 Considering a BannerFlex Light Pole Banner? Now You Can Look Before You Buy! 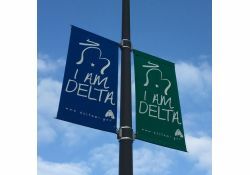 Are you thinking about utilizing light pole banners for an upcoming project or promotion? If so, you've undoubtedly asked yourself, "What will they look like?" Well, to help you answer that question, the art staff at BannerFlex can now show you exactly how your banners will impact viewers! Recently, we've helped cities make their decisions by providing "before and after" photographs of what their areas would look like after banners are installed. 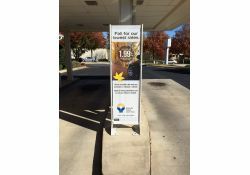 BannerFlex’s Outdoor Ground Mounted Banner Stand Gets an Additional Feature! It's a known fact that most people prefer to use the drive-throughs when visiting their local bank or credit union. Just like grabbing dinner from your local fast food joint, people would rather wait in the comfort of their cars than in a cramped lobby. But, while they're waiting, why not utilize your outdoor space? BannerFlex's popular banner stand, the Messenger GMS, can be used to convey important information about your bank or credit union's services, rates or policies. As you may have noticed, BannerFlex’s online home has undergone quite a change. 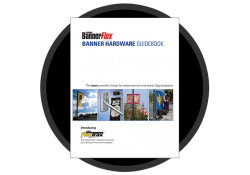 With brighter, more vibrant colors and a fully mobile responsive design, it’s now easier than ever to find the banner hanging hardware that you need.